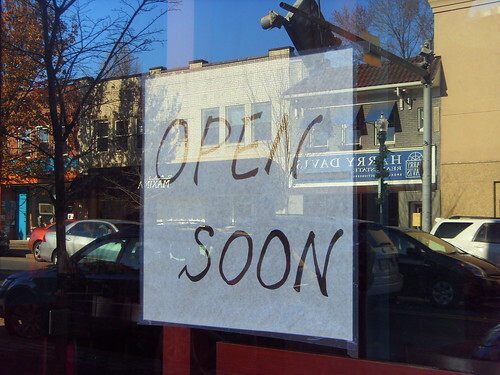 PennsylvAsia: Pittsburgh's Ramen Bar "Open Soon". 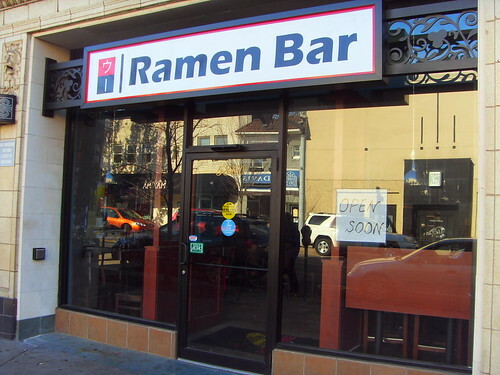 Progress at the Ramen Bar in Squirrel Hill has been slow. Signage went up in mid September, the paper's been off the windows for a month, and staff have been in sporadically cleaning and testing, but no news until today. As the sign says, it'll "Open Soon". Staff have been in cleaning the past few days, and it looks like we could see an opening next week. Notwithstanding the mural of a Tokyo nightscape on the wall and the katakana on the exterior sign, it's too early to tell if this will be the real, authentic Japanese ramen place Pittsburgh lacks.